Michael Abrahams (Chair) welcomed approximately 50 people (including three local councillors) to the meeting and introduced the guest speaker – Steve Bullock, Mayor of Lewisham and local resident of Forest Hill. 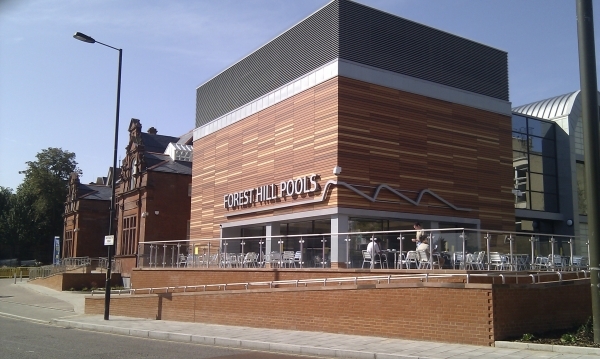 FH Pools – refurbishment work is due to start in February 2008. Schools – FH School now had a new building and Sydenham School is due to be upgraded. FH Station Site – had been identified in a 2003 study as a key site and the East London Line should be a trigger to its development. Water Supply – was currently unavailable to parts of Forest Hill – a permanent solution should be in place by the end of 2008. FH Post Office – the plan to move the Post Office into WH Smith store was generating concern that the result would be a second rate Post Office and a second rate store. FH Neighbourhood Team – visibility had been low due to the Sergeant being off ill. A Police Constable will now take over his duties. Current Planning Applications – an application had been received to demolish the Pizza Hut and Red Cross site in FH and put up a new building. Michael Abrahams then asked for questions from the floor and Steve Bulloc said that he was happy to take away any issues raised that he was unable to answer on the night. SB – appears to be entirely commercial reasons – Post Office not willing to discuss. SB – needs to be addressed by the council in development plans. SB – will take away. SB – playgrounds mostly in public parks and these have been upgraded by at least one a year over the last few years. Agreed that more attention may need to be given to facilities for older children. Cinema – the council cannot decide to have a cinema although the redevelopment of Lewisham town centre may provide an opportunity for one to be built. Films shown regularly at the Broadway Theatre in Catford. 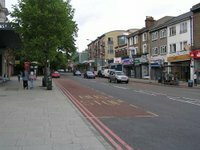 Timing of traffic Lights at Honor Oak Road/London Road Junction resulting in queues on Honor Oak road and increased pollution – can it be tested? SB – will investigate possibility of a pollution monitor. SB – the festival relies on volunteers but he will be happy to talk to the organisers. SB – a new plant in Woolwich can sift and separate different materials. SB – East London Line may stimulate more demand for shops although no big retail units are proposed for FH. There has been some discussion of a coffee shop chain taking over a vacant unit beside Sainsburys. SB – agreed there was a problem of other people’s rubbish being put into empty dustbins now that more items are being recycled. Council is replacing black bins with smaller ones over time but agreed to talk to the person involved in this particular case (South Road). SB – agreed to sort this out. SB – improvements will be made to accessibility at the station. The infrastructure of the gardens requires investment and certain areas need improving. A landscape architect has been appointed and an outline plan should be ready by the end of September 2007. A consultation process with a wide range of groups will go on over several years. There will be an information stand at the Horniman May Plant Fair on the 19th May where comments and suggestions can be passed on. Inclusion of triangular plot of land across the road from the Horniman – to be flagged up in the lottery bid. Problem of parking by visitors to the Horniman (although the Museum does encourage the use of public transport). Problem of crossing Honor Oak Road for people walking to the Museum. capture children’s’ interest through the provision of a maze, tree walks, nature trail etc. mini transport system within the gardens for less abled. provision of a courtesy bus between FH station and the Museum. open up the entrance near Dulwich and incorporate into the Green Chain Walk. Inclusion of the train service from FH to Victoria in discussions on the east London line. Michael advised that this service will probably be lost but will have increased services to Crystal Palace with more choice of service from there. Traffic problems in FH town centre – campaign for a one way system. Local councillors will look at a one way system and the society will look at the traffic problems. Campaign for open space in Tyson Road to become a community garden. Fitting a lift at FH station to provide access to opposite platform. Michael advised that the Department for Transport had provided money to improve accessibility at the station. More activities to be included in the FH Day festival next year. The meeting closed at 9.30pam and Michael thanked everyone for attending.